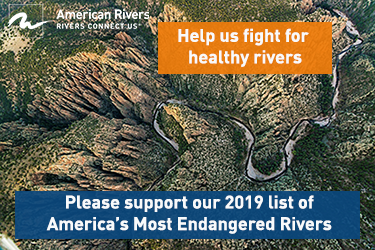 Named one of the best groups to support by “Outside” magazine, American Rivers protects wild rivers, restores damaged rivers, and conserves clean water for people and nature. 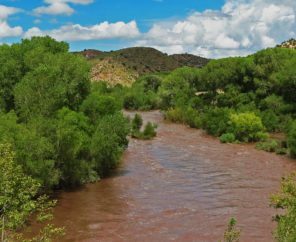 Since 1973, American Rivers has protected and restored more than 150,000 miles of rivers through advocacy efforts, on-the-ground projects, and annual America’s Most Endangered Rivers® and National River Cleanup® campaigns. Headquartered in Washington, D.C., American Rivers has offices across the country and more than 350,000 members, supporters and volunteers. American Rivers maintains a positive work environment with a culture of learning, support and balance. For more information please visit www.americanrivers.org. American Rivers embraces and celebrates diversity, equity and inclusion in all that we do. Rivers Connect Us is more than just our tagline. The beauty of rivers is that they connect all people and communities, and we seek to build and embody this diversity in our organization and throughout the conservation field. Each individual brings life experiences, knowledge, innovation and talent to our work, providing perspectives, experiences and competencies that are critical to our effectiveness. 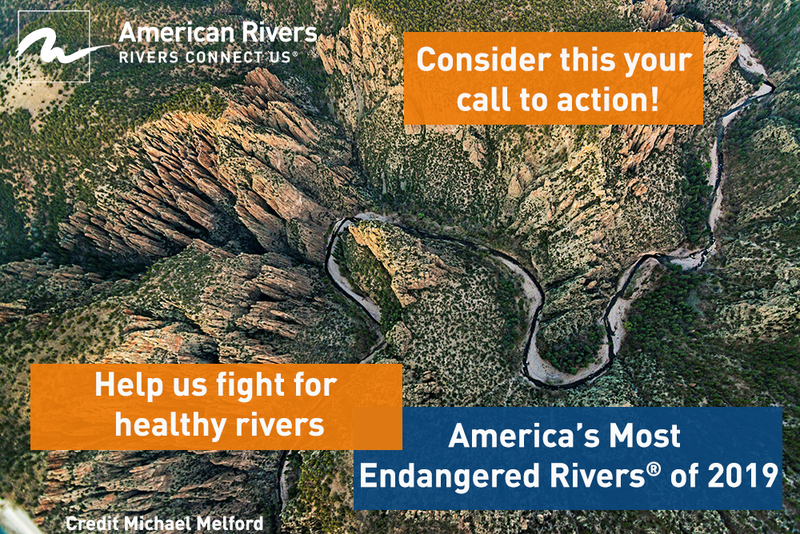 American Rivers seeks an inspiring leader with operational savvy and substantial fundraising and communications experience. The Senior Vice President for Advancement serves as the chief development officer and develops and implements short and long-term strategies to enhance organizational revenue. The candidate is responsible for directing comprehensive fundraising and communications functions and recruiting, developing and retaining talented team members focused toward the goal of significantly increasing fundraising results, public awareness, and constituent involvement. The position provides leadership and guidance to a committed team of 20 professionals responsible for individual and institutional giving, communications and marketing, and board relations. The development division includes membership, corporate and foundation relations, mid-level and major gifts, gift planning, endowment, donor relations and stewardship efforts, and development services. The communications division includes media relations, print and publications, social media and films. Team members are based in the Washington, D.C. headquarters and in field offices across the country. The position reports directly to the president/CEO and serves as a key member of the president’s executive team, meeting weekly to set strategy, identify and respond to challenges and opportunities, and lead the institution. The successful candidate should have significant senior management experience in developing and executing a strategic vision and must be a persuasive and sophisticated communicator who can represent the organization to American Rivers constituency, which includes a broad range of leadership volunteers, donors, activists and other partners. The position works closely with the board of directors, whose members are deeply invested and engaged in institutional advancement, fund development and communications efforts. With current leadership, a possible comprehensive capital campaign on the horizon, and a new strategic plan as a roadmap, the senior vice president will join American Rivers at a unique moment where there is opportunity to enhance fundraising capacity and further public awareness. Lead, manage and inspire a staff team responsible for all philanthropic giving and communications. Funding from philanthropic sources accounts for approximately 80 to 90 percent of the organization’s overall budget. Serve on the executive leadership team and contribute to the overall management and strategic vision of the organization, through implementation of the strategic plan, preparation of reports, analyses and counsel to the president/CEO and board of directors. Serve as the staff liaison for institutional advancement to the board of directors and the board development committee including, but not limited to, helping directors identify, cultivate and solicit donors. Manage the cultivation, solicitation and stewardship of a personal portfolio of principle-level donors and prospective donors, including managing the board of directors’ annual appeal. Work closely with the president/CEO in all phases of his advancement leadership activities. Work with advancement’s senior leadership team to foster collaboration and communication within the department on plans and programs, and optimization of expenses and funding availability/projections. Prepare for a potential comprehensive capital campaign through comprehensive and effective campaign planning and execution, including working with the president/CEO to identify key goals and opportunities outlined in the strategic plan that ultimately can be converted into comprehensive capital campaign priorities. Devise and assist with implementing effective internal and external messaging and methods of philanthropic communication such as the case for support. Hire, train, inspire and guide direct reports and the entire advancement team toward accountable, goal-oriented outcomes, including annual workplans and key performance metrics, revenue and expense budgeting. Maintain effective working relationships with volunteers and staff across the organization; collaborate with program and administrative leadership in outreach and fundraising. Ensure compliance with all relevant regulations and laws; maintain accountability standards to donors. Be active and involved in the advancement profession and keep American Rivers visible among peer institutions in the conservation sector. An advanced degree and a minimum of 16 years of relevant experience, or an appropriate combination of education and experience with at least 20 years of relevant experience. Bachelor’s degree is required. Master’s degree and CFRE preferred. Knowledge of the principles and best practices associated with fundraising and communications in a dynamic nonprofit environment. Direct experience and demonstrated success with annual and comprehensive capital campaign fundraising from individuals and institutions. Direct experience supervising marketing and communications teams and managing messaging across channels. Experience collaborating with executive staff and board members in the cultivation and solicitation of principal and major gifts. Effective leadership and management plus mentoring skills and a collaborative administrative style based on authenticity and trust. This should be evidenced by prior development and management of high-performance teams. Strong technical and analytical skills, including expertise in fundraising data programs. Persuasive written and oral skills commensurate with the various internal and external audiences. Strong attention to detail. A results-oriented nature and the ability to work well with people at all levels of an organization, warmly developing relationships with diverse constituencies while simultaneously employing keen judgment. Ability to work flexible hours, including evenings and weekends. Travel is required: must be willing to travel in work with donors and as a representative of the organization. The highest degree of professionalism, demonstrating leadership and gravitas to positively reflect the brand of American Rivers. A passion for being a part of the American Rivers community, with a commitment to the mission and future aspirations of the organization. Preference given to candidates with experience working in the conservation and environmental sector and national member-based organizations with regional offices. Salary is commensurate with experience. Full-time employee benefits include health, dental and life insurance, a retirement plan, and generous leave time. Applications are reviewed on a rolling basis; deadline to apply is April 19, 2019. Preferred start date is August 1, 2019. Applicants should submit a resume and cover letter at https://americanrivers.bamboohr.com/jobs/. No phone calls please. American Rivers is an Equal Opportunity Employer.